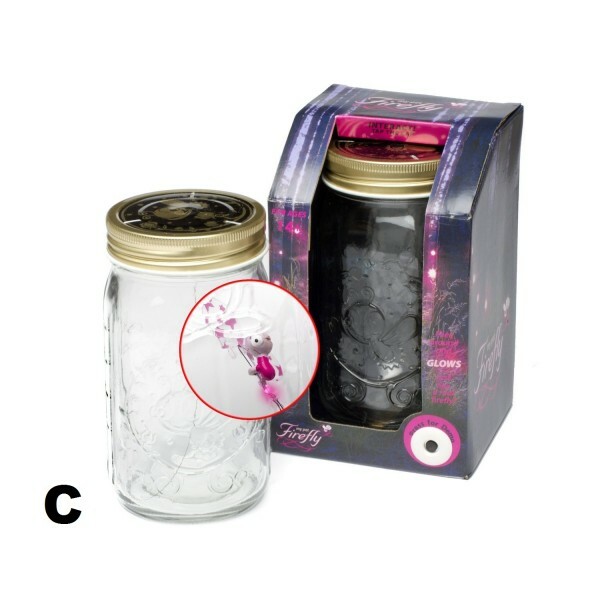 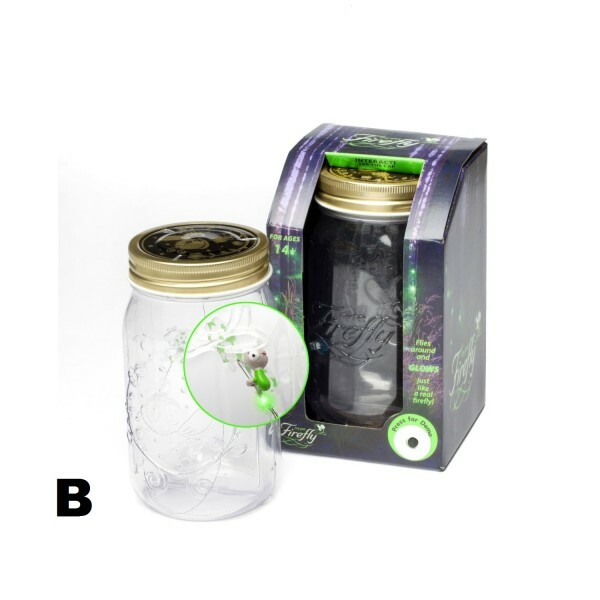 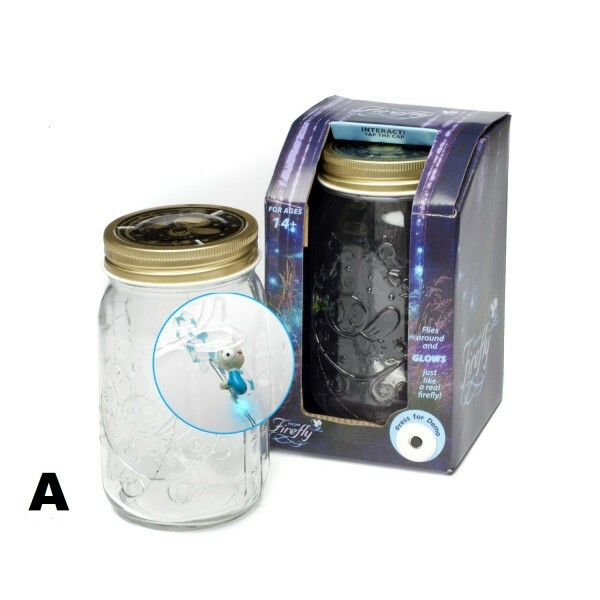 The Firefly In A Jar is a magical gift that will astound everyone! 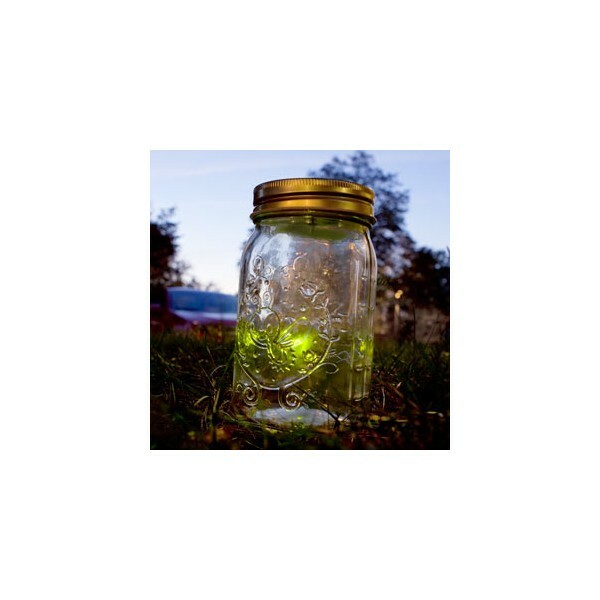 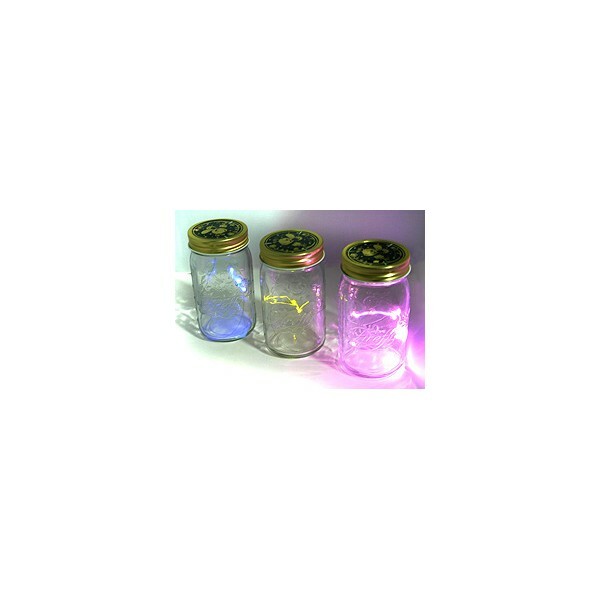 Enrich your child's imagination with a Firefly in a Jar that produces a flickering light effect that looks like a firefly caught in a sculpted glass jar. 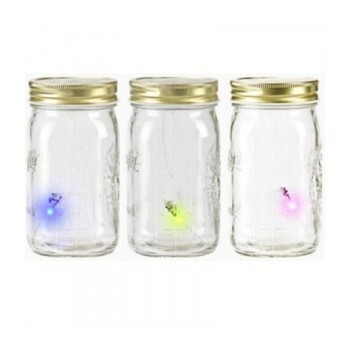 Watch as the firefly floats and swoops up and down, back and forth, with the Firefly In A Jar. 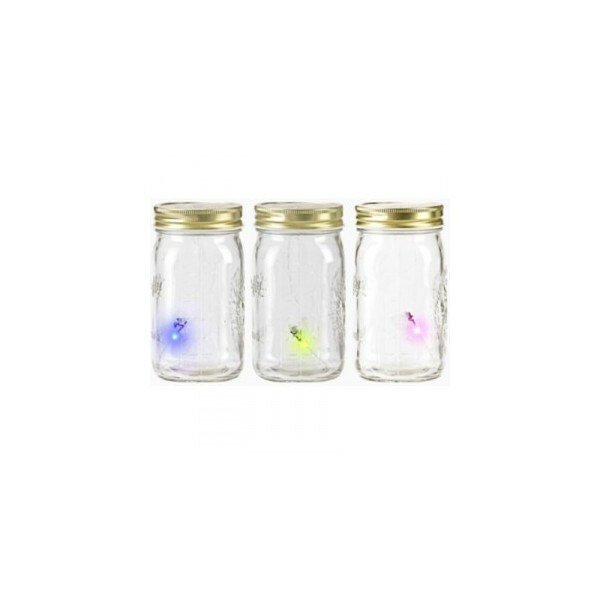 If you like this, you might also like the Butterfly In A Jar.